At Microgrid 2017 in Boston, Michael Bakas, executive vice president at Ameresco, explained why microgrids can be the answer for companies that value energy resiliency. Kevin Normandeau, publisher of Microgrid Knowledge, asked Bakas if microgrids will one day achieve the market share and importance of energy efficiency and renewable energy. “Without question,” Bakas responded — if customers can assign a value to energy resiliency. 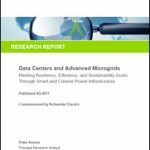 Microgrids integrate renewable and non-renewable technology. “So ultimately, you are going to find ways to integrate the intermittent resources with base load generation to create resiliency,” he said. What value should businesses put on energy resiliency? Bakas explained it depends on who you are and what you provide. “Mission critical facilities value resiliency to some extent more than others,” Bakas said. Microgrid 2017 was sold out! Register now for Microgrid 2018 in Chicago. He offered the example of a five-hour Delta Airlines power outage in 2016 at the company’s hub in Atlanta, which caused the airline to cancel more than 1,000 flights and ultimately cost them about a $150 million. An independent provider of renewable energy and energy efficiency, Ameresco offers energy savings performance contract solutions for public and private organizations throughout North America and the U.K.
Michael Bakas is executive vice president at Ameresco. 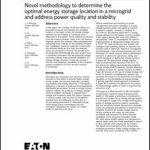 Read more about how microgrids can be used to create a more resilient grid and prevent future power outages. Subscribe to the free Microgrid Knowledge newsletter.